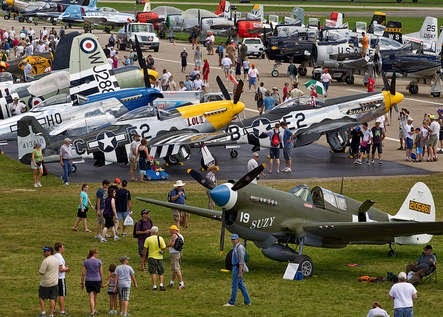 Want to see a conglomeration of photos people are posting online from Oshkosh? That's easy, just click here. If you go to the NORDO News blog itself, you will see it at the top in red as a subtitle, "Tracking Oshkosh 2014". Clicking there will take you to the same thing. What you'll find on that link is an ongoing and ever changing stream of photos which people from all walks of life are posting. Try it out. It's a great way to catch the highlights.